“If You Only Knew” and “Second Chance” hit-makers Shinedown are on target to gut out their new album this spring, with production by longtime knob-twiddler Rob Cavallo (Green Day, Kid Rock). The release is the follow-up to Shinedown’s 2008 release, The Sound of Madness, and sessions are going down at Ocean Way Recording in Hollywood, Calif. With nearly four years between albums, fans are pumped for the fresh songs. Shinedown will release their lead single, “Bully,” on Jan. 3, reports Blabbermouth. With a name like “Bully,” chances are the song carries an anti-bullying theme, which should go down well with fans. Expect a massive world tour to follow. 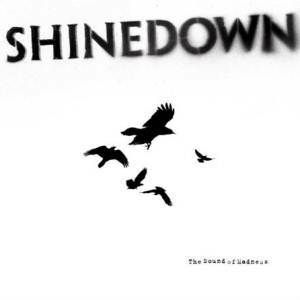 Shinedown are something of a sleeper success story. The group’s debut LP, 2003’s Leave a Whisper, spawned rock radio hits “Fly from the Inside,” “45,” “Burning Bright” and others, and, at the time, the guys seemed destined to sit tight in the hard rock genre. But, when Chris Daughtry performed “I Dare You” on an episode of American Idol, Shinedown found themselves in the mainstream spotlight, and they continued that widespread success with “Second Chance,” “If You Only Knew” and other pop-friendly rock tracks. Whether lead singer Brent Smith is screaming out heavy rock vocals or beautifully crooning to a ballad, these gents know how to make a rock hit.